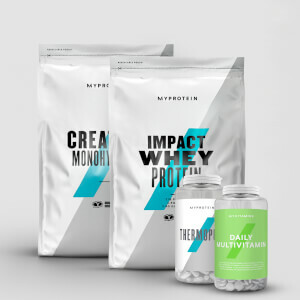 The Lean Definition Bundle contains 5 premium products and has been specially devised to help contribute to the growth and maintenance of muscle mass while an individual is on a weight loss exercise programme. 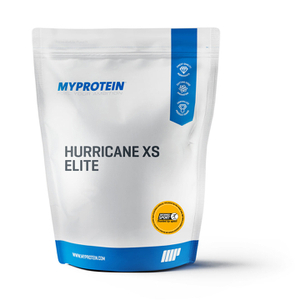 Hurricane XS (Strawberry flavour, 2.5kg): Superb all-in-one supplement. The high protein content will contribute to the growth and repair of muscle mass. Thermopure (90 tabs): A potent thermogenic blend which promotes fat loss and an increase in energy and vitality. CLA (60 softgels): Conjugated Linoleic Acid (CLA) is a fatty acid found naturally in meat and dairy products. The CLA softgels contain 1000mg of CLA per softgel. Taurine (250g): An amino acid that acts as a cell volumiser. 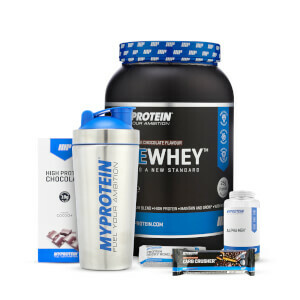 Myprotein Blender Bottle (600ml): The Myprotein Blender Bottle is the most advanced sports supplement bottle on the market today, helping you to mix your individual sports supplements with minimal effort. FLAVOURS, PRODUCTS AND SIZES ARE AS SHOWN AND MAY BE SUBSTITUTED WITHOUT NOTICE DEPENDANT ON STOCK LEVELS. Love the taste of the protein is lovely. Recently recived my Lean definition bundle along with a few other items on my order and i was more than happy with all of my order. The Hurricaine XS protein blend is proving to be efficiant so far but im only just two weeks or so into my training but i am more than please with my gains and strength. This was the perfect start up bundle to get me going. It's worked great alongside my training program. Great bundle to get you off and running. My only issue is why can't get the hurricane x in different in flavours apart from everything is great. I recommend changing the flavour of the protein shake, Hurricane XS. More people would be interested to buy this pack if there was more flavours rather than only the strawberry one. bundles are a great way to get everything you need in one go at a great price. 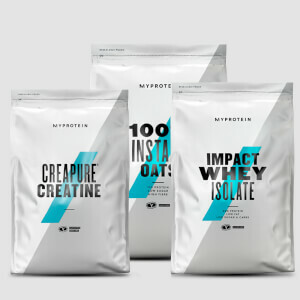 Perfect mix of protein and creat. Perfect post workout for maximum gains. I suggest mixing it up between HX and standard whey alternating days with different flavours.